HER STYLE, HER WAY: Drop-dead gorgeous singer Naomi Cowan was always a pixie cut kind of girl. 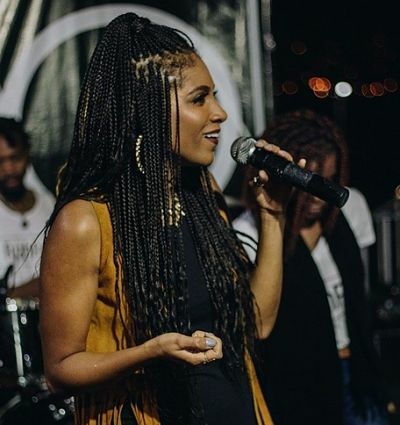 But now she’s traded her signature ’do for long, regal braids that stole the spotlight during her mainstage performance at the Caribbean Love Now ‘Jamathon’ megaconcert inside the National Indoor Sports Centre last Wednesday night. Naomi owns the look. And if thought she was a dead ringer for mom Carlene Davis, you should see her now!